You’re all done with your 25 hour CA MCLE requirement… now what? No, don’t mail in your certs to Cal Bar. California attorneys must self-report overall completion of the 25 credit hour MCLE requirement. 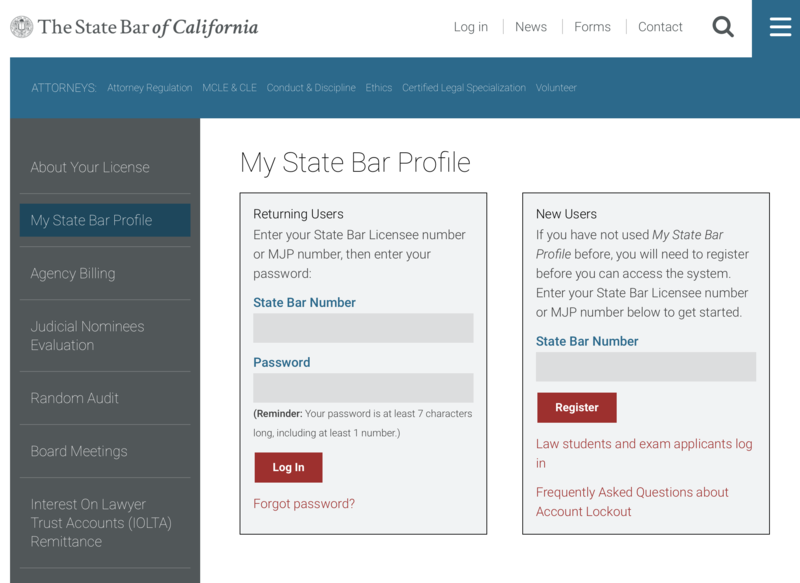 My State Bar Profile is an online feature for California attorneys to pay fees, update personal information, report MCLE compliance and manage other administrative tasks. Please click the following link to access the My State Bar Profile webpage on The State Bar of California website: My State Bar Profile.